Last week, we discussed The Righteousness God desires, focusing on the importance of the knowledge of sin starting a fire of righteousness in us, how knowledge of sin can be gained from the 10 commandments as well as learning how our Lord Jesus used the 10 commandments in His ministry to instruct on righteousness. The importance of the 10 commandments is emphasised further where scripture tells us that “If they do not listen to Moses and the Prophets, neither will they be persuaded if someone rises from the dead” (Luke 16:19–31). However, if you meet a person under condemnation, who really believes his past is so bad that God Himself cannot or will not forgive him, such as the woman who was caught in adultery in John 8:1-11 this person does not need the law because the law can only bring more condemnation. There is only one thing standing between such a person and everlasting life: a crystal-clear understanding of grace! To those who are broken and contrite Jesus consoles with the Gospel, but to the proud and self-righteous He gave the law! As Leon Morris rightly said, “the Law of Moses is not a religion of salvation, it is the categorical imperative by which men are accused and exposed as sinners” this is exactly what Jesus demonstrated in those stories! “The law of God is like a mirror. The purpose is to reveal to you that your face is dirty, but the purpose of a mirror is not to wash your face. When you look in a mirror and find that your face is dirty, you do not then reach to take the mirror off the wall and attempt to rub it on your face as a cleansing agent. The purpose of the mirror is to drive you to the water. Any other use of the mirror is plain folly. It is by the straight edge of the law of God, whether expressed by Moses or reaffirmed by our Lord Himself, that man may know how crooked he really is, and may turn from the folly of self effort to the reality of the life of faith in Christ. This new life furnishes us with power which we can never have of ourselves, and which will act within us. May God slay us with the law, in order that we might be raised from the dead by His gospel. For this is the true relationship between the two. Before God can ever give us the gospel, He must slay us with the law. The gospel is the power of resurrection; the law is the power of condemnation; and when the two are put together, they then serve their proper purpose.” – Donald Grey Barnhouse. This is exactly how Jesus reached people. Jesus used the law as a compass to the gospel, He used the law as a mirror to reveal sin and the introduced the gospel to bring salvation! 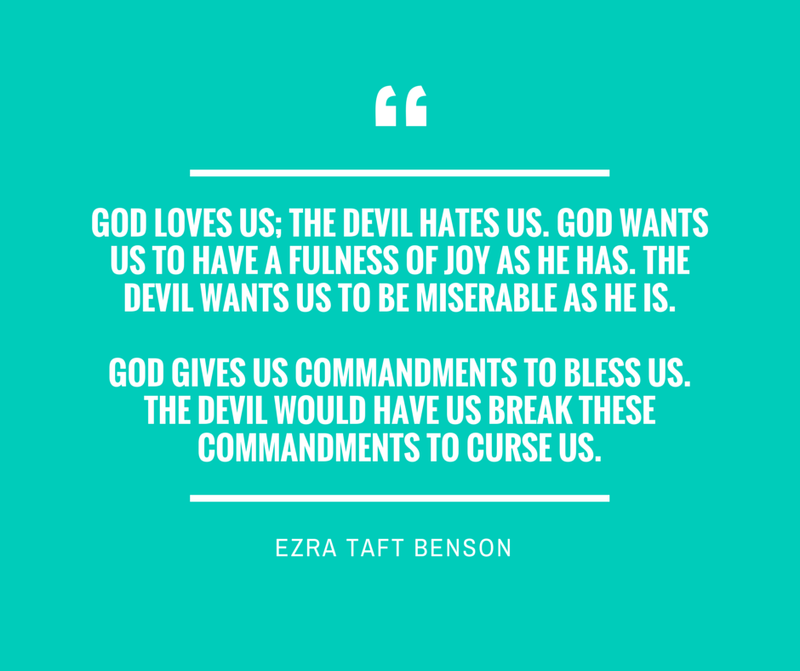 One of Satan’s most frequently used deceptions is the notion that the commandments of God are meant to restrict freedom and limit happiness – Ezra Taft Benson but “The Old Covenant is the Law which came by Moses, and, believe it or not, it plays a vital role in bringing a man or woman to Christ.” – Kay Arthur. As a matter of fact, “the rest of the scriptures are but a commentary on the Ten Commandments, either exciting us to obedience by arguments, alluring us by promises, or restraining us from transgressions by threatenings. Rightly understood, the precepts of the New Testament are but explications, amplifications and applications of the Ten Commandments.” – A.W. Pink. “So that, finally, we can put it like this. The law was never given to save man, but it was given as a school master to bring him to the Savior. The whole object and purpose of the law is to show that man can never save himself. Once he has understood the law and its spiritual meaning and content he knows that he cannot keep it. He is undone. It shows us our utter helplessness and hopelessness, and thereby it becomes our school master to lead us to Christ, the only one who by the grace of God can save us, and deliver us, and reconcile us to God, and make us safe for all eternity.” – Martyn Lloyd-Jones. From studying the law – particularly the 10 commandments, we see how the law reveals that we cannot save ourselves. The righteousness God desires is that we stop trying to save ourselves but instead come voluntarily and freely, disregarding all self righteousness, and simply seek to please God in all we do. This is the kind of righteousness God is interested in; Henry B. Eyring says: We are spirit children of a loving Heavenly Father who placed us in mortality to see if we would choose – freely choose – to keep His commandments and come unto His Beloved Son. They do not compel us. They cannot, for that would interfere with the plan of happiness. And so there is in us a God-given desire to be responsible for our own choices. “The Law and the gospel are given to the end that we may learn to know both how guilty we are, and to what again we should return.” – Martin Luther. “Through the Law, God opens man’s eyes so that he sees his helplessness and by faith takes refuge to His mercy and is healed. The Law was given in order that we might seek grace, grace was given in order that we might fulfill the Law” – Augustine. ← It is time to seek the LORD.